So you want to know how fast your internet connection is? There are plenty of apps to do that, and today there's one more. It's called Meteor, the latest thing from OpenSignal. Not only does it tell you how fast your connection is, it looks good doing it. Meteor is still in beta, but it seems to work fine. You open it, launch a speed test, and it gives you a slick animation while it does so. At the bottom of your test results, Meteor has a list of apps with assessments of how well they'd work based on your last test. Tapping on an app breaks down the most important aspects for proper performance. This is irrelevant information if you've got a good connection—everything will run fine. If you're stuck with a poor connection, this might be helpful data. 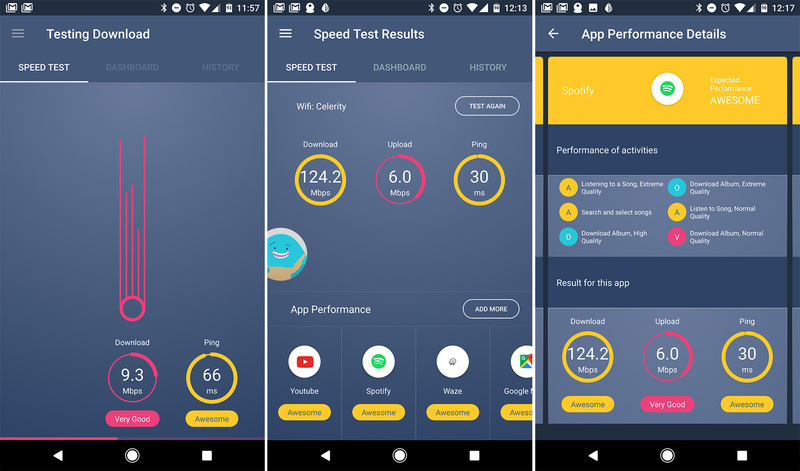 The dashboard section of the app offers various stats on your speed tests, and the history tab is a list of all your tests viewable as a list or map. The app currently has a floating feedback icon featuring the "Cosmo Monster" from the extremely odd video above. I assume that'll go away when the app is officially released.